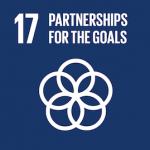 Partnerships between organizations and networks across industries and sectors are a necessary ingredient for achieving the SDGs. It’s obvious that no one organization can really address any of the SDGs in isolation. The question really is: How to partner effectively? It usually takes a great deal of resources to partner, and most of the time it is not a very straightforward process. Any partnership needs to be worth the effort, and to generate more impact than the combined investment of everyone involved. How can you partner as a network? Networks are powerful and growing forms of organizing people and organizations around causes, but how do they partner with more traditional types of (centralized) organizations? And how can two or more networks partner up in ways that are relevant (and owned) locally and impactful globally? As with any other partnership, all parties need to take time to arrive at a shared understanding of the collaboration’s purpose and ambition. They also need to clarify complementary ways of achieving that ambition jointly (you may find the P-ACT tool of MIT D-Lab helpful for example). When working with or between networks, the process needs to reflect each network’s strategic ambition and also include mapping of related activities, assets, relationships, and needs of its members. But both of these perspectives (and also the realities of individual members/locations) are seldom 100% consistent. We have found it necessary to consult, or in an ideal case, pilot each partnership opportunity with several representative members/locations in this process before moving forward with a collaboration on a global level. This approach takes time, but usually results in more integrated, impactful and sustainable partnerships. Networks can deliver programs or projects consistently across various locations/markets, but their real strength is in their inherent ability to address specific contexts of each location, community or market. What we’ve seen work best, is providing a very clear partnership framework and leaving plenty of space for local interpretation and encouraging innovation. For example, in our partnership with WWF, we have a sufficiently clear joint ambition (“Accelerating transformative environmental innovations”), a simple toolkit that includes tangible activities that can be mutually beneficial, and a set of stories providing examples of previous collaborations between our networks. Such a framework provides a clear starting point every time we connect local counterparts from our two networks, but it doesn’t restrict them in what they can do together. If they decide to try out a different approach, all we ask them to do is to share with others so that we can learn and the partnership can evolve. Partnerships between organizations or networks often start with a trusting relationship between a few individuals that see an opportunity in working together. This initial group is essential in the early years of a partnership but over time, the relationship needs to become independent from its initiators. Actively finding relevant connections, and engaging many people on various levels of both/all organizations involved in a partnership, ensures that the collaboration becomes embedded in each organization’s operations, and becomes more resilient to changes of structures and strategies of any of the parties. Such relationship building and coordination take resources and time — more than just a traditional account management. It takes a dedicated operational role and support of senior staff of all parties to facilitate relationships, listen to key stakeholders, connect the dots, gather data and stories, and in some cases also raise funding together. The impact of an investment into such a coordinating role is leveraged by a much wider and diverse collaboration than it would be in a more centralized/top-down partnering model. In short: investing in a decentralized partnership is worth it, because it generates a greater amount of activity, collaboration and (most importantly), impact. Capturing performance and impact data from joint local as well as international projects and sharing honest evaluations and lessons learned is key and it is, ideally, also done in a distributed fashion. Promoting engaging stories, data-driven insights and lessons learned from joint activities via channels that are effective in each respective party is key for future growth and evolution of the partnership. 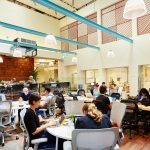 Global partnerships that have a strong footing on the local level are an ever-evolving experiment and so there are many questions that are yet to be answered in practice. 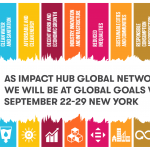 For example, we are still in the early days of learning how to effectively measure impact outcomes on key issues/SDGs that our partnerships focus on – as an organization and as partners. Especially in those projects whose impact logic is indirect. We are also learning how to govern partnerships effectively. Most organizations can usually coordinate operationally between each other but strategizing together, addressing differences in organizational cultures, and learning together seems to be something not so many organizations and networks have a lot of experience with. Finally, financial sustainability of the coordinating role in partnerships also continues to be a question especially in cases of partnerships between networks, where value is usually generated on a local level but the costs of coordinating and supporting need to be covered on a global level. Joint fundraising may be one answer, but we still haven’t cracked the model and we are keen to learn more from others. We continue to develop our own practice of managing global partnerships and measuring their value as a network. Having said this, we know there have been a countless number of projects, connections and impact enterprises supported which wouldn’t have happened were it not for two or more partners coming together. 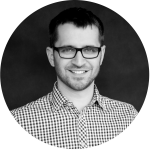 Petr is the Global Partnerships Director at Impact Hub. 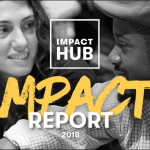 Together with his team, he develops and manages strategic partnerships around Impact Hub’s global and regional initiatives. Before joining Impact Hub, Petr led a number of innovation programs at Vodafone. Previously he worked at AIESEC International, where he managed the global business development team.